We received this guest post that talks about minimalistic design style. 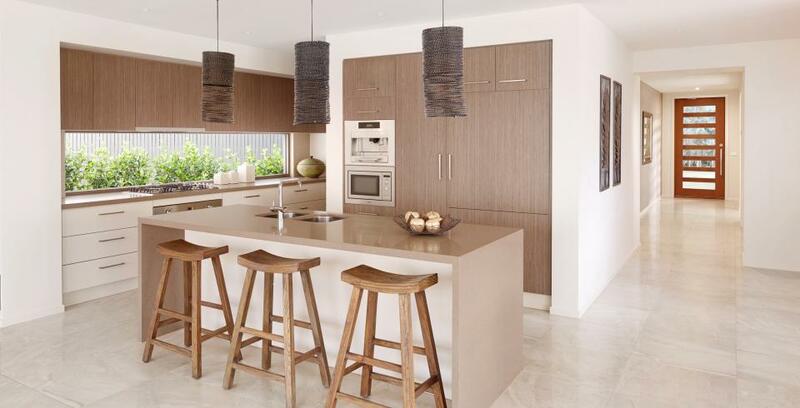 Clean lines, uncluttered spaces, neutral color schemes and more can define this style of design. In today’s cluttered world of non-stop media, wouldn’t it be nice to come home to a home with a soothing minimalistic design style? Not sterile or super modern, but calm in nature, a respite from a busy life. For those who wish to make a statement with clean lines, interesting furniture and a clutter free environment, minimalism is the way to go. Minimalist interior design became quite popular in the 1960s, with its focus on straight lines, and geometric contrast which resulted in clean and coherent homes. Surfaces in a minimalist interior are often light coloured, combining to create organised spaces and a sense of airiness. If there are shelves, they usually float in the air; every item having its own space. Storage is hidden and the basic principle is simplicity, inevitably leading to elegance. Focal point. When decorating in a minimalistic manner, your aim is to create balance between the space, surfaces, and objects, making it all as functional and unobtrusive as possible. Often, there is just one thing in the room that grabs the attention: a piece of furniture, the view from the window, a work of art or just colour. The attention and skill comes in when balancing other objects with it. Colours of minimalism. There should be a single colour on the walls; two different colours would be a tolerable maximum. The interior itself is organised in a way that no more than three shades of similar colours are present. 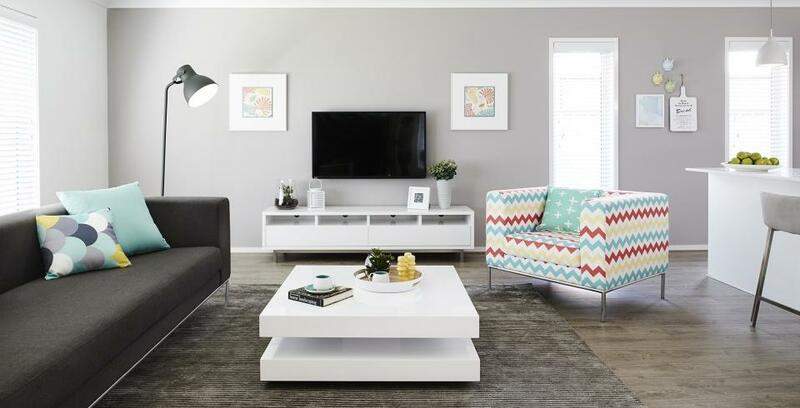 When choosing colour for walls, white or shades of white are always the right choice for the “clean” impression minimalism aims at. The colour is added to the room with accessories. Favourite colours are accentuated through vases, picture frames, cushions and curtains. These should evoke visual interest in the space and insert the character of the person using the space. As these objects are usually small and not too distracting, their colours and designs should be bolder. Of course, the amount of accessories should be brought to a minimum so as to avoid clutter. Use of materials and texture. Sustainable and eco-friendly materials are the ones you wish to use in minimalism, as well as elements such as glass, mirrors, polished cement, architectural fabric, stone and wire. Also, minimalism wants to draw nature into the room and that is usually the one seen through the windows of the apartment or the house. Windows here are very important and are tended to be big, without curtains, blinds or shades, or anything for that matter that blocks the view. If going for a “clean” look then steel and chrome are the right choice, but do not overdo it and create a sterile space. Finishes in minimalism are supposed to be simple, while textures are rough, such as brick, concrete, wood or plaster. Storage. Minimalism is characteristic for the maximum use of space. Everyday items are to be hidden from sight. Storage is hidden in the walls or furniture itself. Even if there are some cupboards, they are designed to have flat facades made of plastic which can sometimes simulate materials such as wood. In cases where real wood is used, surfaces are textured subtly, but keep in mind that using wood is always more expensive. Lighting. Some say that lighting is the most important thing when effectively using space and composition in minimalist design. 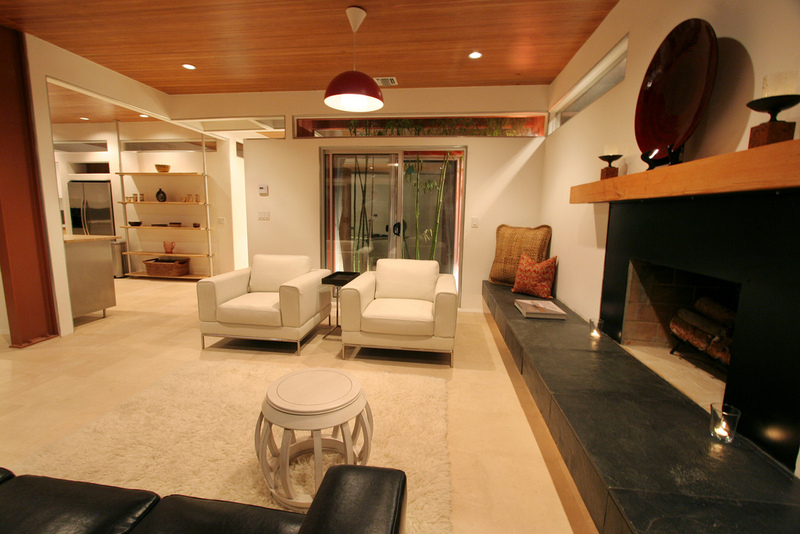 You will often find pendant lights, hidden lighting, or large overhang floor lamps in such homes. The option to dim the lights is a must since minimalist homes can sometimes be harsh during the night. Again, lights are used for making the focal point stand out, whether this is a specific object, angle or part of the room. Objects and furniture. Large pieces of furniture should be avoided. The only large piece can be the sofa, if the aim is for the sofa to be the central part of the room. Anything you do not need or use should not be in the room – and that goes both for furniture and decoration. The accent is on spatial freedom, but with interest in details. 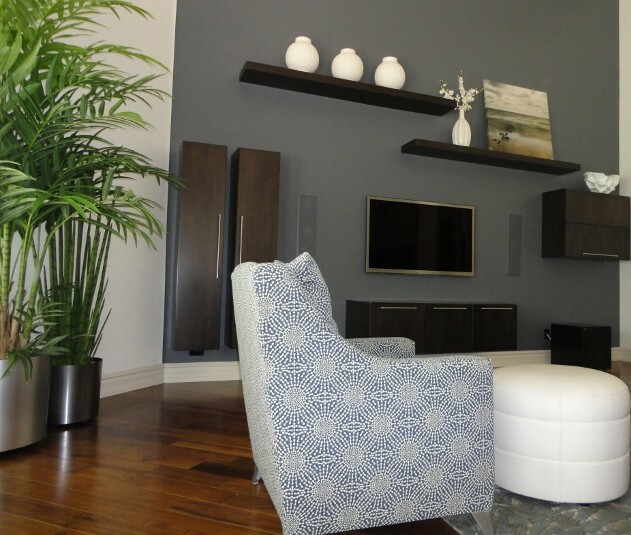 The colour of the furniture should contrast with the walls or be simply white. Patterns on the textiles are also to be avoided, while fabrics should be cotton or flax in a solid colour. Similarly to other minimalistic furniture, cabinets, sofas, chairs and armchairs are of simple geometrical forms and shapes. Minimalism has become an art of balancing the living space with the living utilities and our busy lives. Somewhere in between, elegance has found its way in trying to make it simple. It is not always easy to accomplish but it is worthwhile. Great guest post that speaks to the benefits of Green Design in the work space. Many of these principles and practices are scalable to the residential environment too. S Interior Design encourages eco-friendly design elements where ever feasible for their projects residential and commercial. Protecting the environment has become a vital issue for many people. As the need for environmentally conscious ways of living increases, businesses are now doing their part to introduce green initiatives into their workspaces. Listed here are 5 examples of the most interesting and creative green work environments that have been developed by companies in recent years. Each example goes out to prove the various tactics that industry leaders are tackling in order to accomplish, essentially, their most important job: preserving the environment! Considered the greenest business building in the world, the Bullitt Center in Seattle has over 50,000 square feet of space and uses a small percentage of the energy normally required for commercial buildings. It has been designed to create its own energy source by using solar panel technology. But because Seattle has relatively little sunshine throughout the year, the Bullitt Center also utilizes the grid when needed. The building contains showers on each of its floors and has no automobile parking on its premises. It does provide covered parking for bicycles, encouraging occupants to use bikes in place of cars. Skanska’s office building is located on a former farm in Sweeden. It’s the nation’s first Deep Green building and has a net-zero energy consumption level. No hazardous materials were used for its construction, and none of the waste produced during the process ended up in landfills. Similar to the Bullitt Center, Skanska’s green workspace uses a solar power system for its energy. The building uses heat recovery units that help reuse a large percentage of heat that would otherwise be lost in outgoing air. The building cost $5 million and used locally sourced materials in its construction. The Jones Lang LaSalle building prioritized non-hazardous materials in its construction and recycled approximately 75 percent of the waste produced. The building uses sensors to monitor daylight and occupancy as a means of controlling its energy requirements. 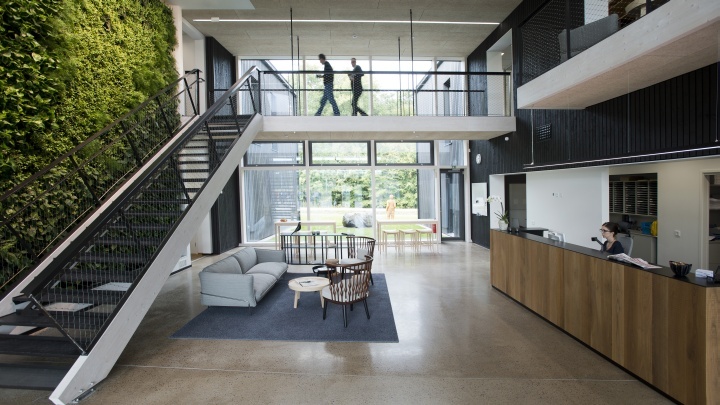 This creative green workspace was able to reduce its water use by 40 percent along with an overall energy reduction of 13 percent. But perhaps more significant was the result it had on the building’s occupants. When looking at the number of sick days of its employees, the company discovered that absenteeism was lowered by over 30 percent. The green technology led to fewer sick days among workers, pushing the notion that going green isn’t just beneficial for the environment, but for the people as well! Cincinnati saw the green workplace revolution appear in the workspace of Lohre and Associates. It saved considerable costs both in its construction and in its operation. Scraps from carpet and wood were recycled and composted in the building process, while old window blinds were reused. The building features creative green bathroom technology that uses hand-washing adapters that funnel sink water into toilets, which in turn, reduces massive amounts of water usage. Energy Systems Design utilized environmentally-friendly energy controls, plumbing and lighting systems within their green workspace. Although limited in their ability to renovate the existing structure, they found creative ways to design a greener workspace. Throughout the building, recycled materials such as used glass and wood were utilized in a remarkable act of turning junk into something new. Also, rubber cork tiles were used for the building’s flooring, which helped to further the project’s resourcefulness and aesthetic appeal. The result of is a set of high-efficiency units that save energy and reduce costs. Plenty of other companies now, too, are joining the green workspace revolution, by initializing smarter design tactics that consist of recycled and eco-friendly materials. To some it may mean resorting to more heavily involved projects such as harvesting solar power and implementing smart water systems to cut down wasteful consumption, but to others, it may be something as simple as installing glass balustrades, such as those offered by Aqua Vista Glass. 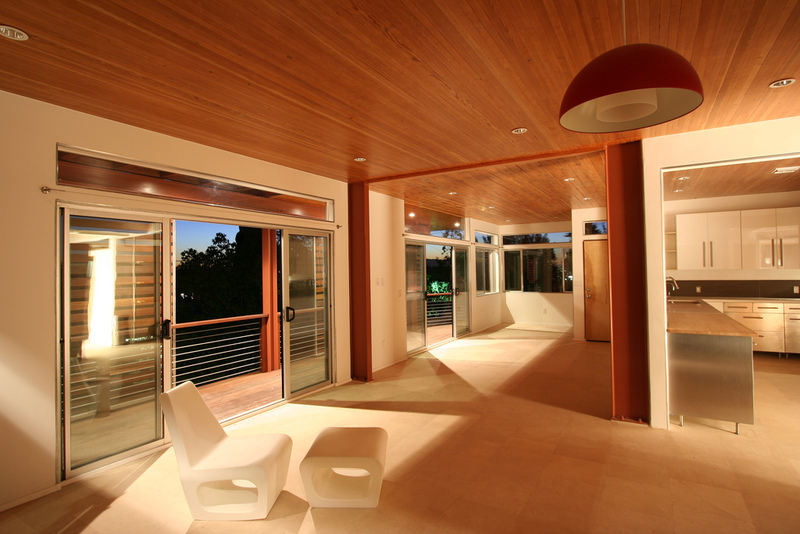 A solution like this allows for the use of more natural light to indoor spaces and less dependency on timber resources. This saves energy and costs for business owners, while creating a more naturally lit open space that promotes a smarter, eco-friendly standard. As more people become conscious of the need to reduce waste and energy consumption, eco-friendly workspaces will become the norm. Employees will reap the benefits of a greener work environment, and will have the satisfaction of knowing that they are part of the solution, and not the problem. Mary Ann Keeling is a freelance writer and business consultant who travels frequently. She is interested in all forms of green design, particularly those modern, clever ideas that can help in protecting the environment.